The Australian Davis Cup captain has denounced harassment "of a year and a half" by his compatriot fellow during the Australian Open. In the middle of a dispute at the Australian Open, a troubling controversy has erupted for Aussie tennis. 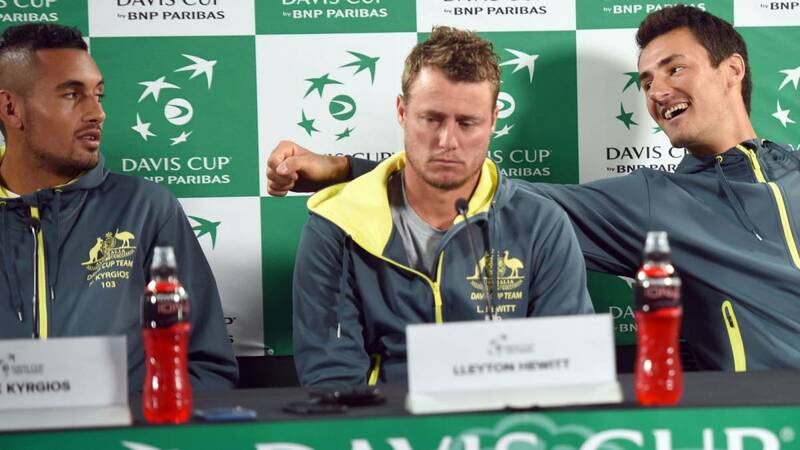 In a small press conference called only for certain media, the Davis Cup captain of the oceanic country, Lleyton Hewitt, has denounced that he and his family have been "a year and a half receiving threats" from Bernard Tomic, one of his pupils in the Australian team and a tennis player more known for their verbiage than for their results. Hewitt's statements are a response to those made by Tomic last Monday, after losing in the first round of the Grand Slam against the Croatian Marin Cilic. Then he said that Hewitt's captaincy supposes "a conflict of interests" and accused him of choosing the players represented by an agency he owns, even though it is known that he has no participation in it, in addition to giving them invitations to play the Australian Open. "You're not doing the right thing. He is playing the Davis Cup when he thought he was already retired. Everything is centered on Lleyton. Before he hated Tennis Australia and now he seems to love it. We (for Kyrgios, Kokkinakis and him) do not want to play anymore because it is ruining the system. Let him go. Why are you still playing these doubles tournaments if you were already retired? Nobody likes Lleyton anymore ", were some of Tomic's words. The reaction of Hewitt, winner in his best years of the 2001 US Open and Wimbledon in 2002, was not long in coming. After his doubles match on Thursday, he tried to get rid of the matter: "The truth is, I laughed a little. Bernie (for Tomic) is still Bernie. Lose and keep complaining about things. I keep going. What excites me now is that I'm working with a lot of young people. The disappointing thing is that our tennis players had a great day at the Australian Open and were overtaken by the news of Tomic. " He also lamented the wasted years trying to make Tomic a competitive tennis player:" I had nothing to do, I spent a lot of time with him trying to create a structure and a team around him so that he had the best opportunities and kept making the same mistakes. " Questioned about what type of threats he received, he assured that they were "physical type and blackmail". Tomic, for its part, denied it in News Corp Australia: "I have never threatened your family, but this is fine, Lleyton, to realize how low you can fall as a person and why the public never liked you. I have nothing to do with your family and I do not care what a problem you have, a liar. " While the knives are flying, Australian tennis has three male representatives in the third round, De Miñaur, Bolt and Popyrin. this news had already fallen one, De Miñaur, before Nadal (6-1, 6-2 and 6-4). Also two women, Barty and Birrell, in eighth and third round, respectively.